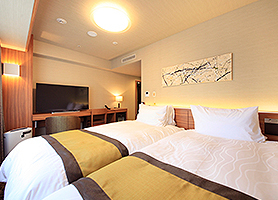 Richmond Hotel is always highly ranked in various hotel rankings. We offer functional and comfortable stays at reasonable prices. 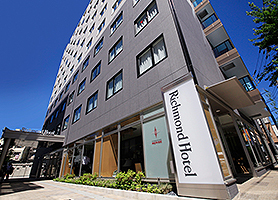 Richmond Hotel, Japan’s “Creative Hotel”, was established in 2004 and is managed by RNT HOTELS Co., Ltd.,. We have redefined what a comfortable hotel means and strive to be"friendly to people and nature” with spacious rooms, well-equipped facilities, and universal design. Richmond Hotels are based on the hospitality expertise cultivated in our restaurant business and has received positive ratings from business people throughout the country. We are also continuously highly rated in various hotel rankings.